Jenny Gao has been an Aviation High School Student and actively involved in her school’s ASB, Speech & Debate teams, and Science Olympiad team. She enjoys playing and listening to music, and has played the piano for her entire life. She also plays the violin and is in the Renton Youth Symphony Orchestra. 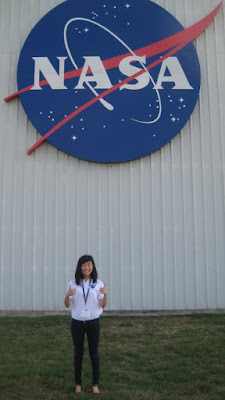 As if that talent wasn’t enough, this year, she explored the aviation and aerospace career field by becoming a Washington Aerospace Scholar, Women In High School Aerospace Scholar, and flew a small aircraft for the first time. 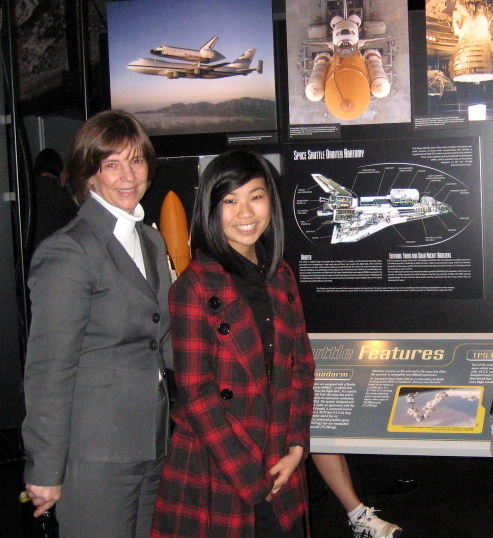 It was no mystery why Jenny Gao jumped at the chance to be the Master Planner of the Renton Fly It Forward event scheduled for tomorrow at 10 am at Renton Airport, for her senior project. Jenny’s personal interests clearly indicate her desire to incorporate leadership positions in her career planning, and it appears she is in hot pursuit of a career that allows her to work on a wide range of skills and topics. Jenny has embraced the coordination of the Fly It Forward event at the Renton Airport March 24—tomorrow. Her program is going to be amazing. Jenny was recently one of the WA state representatives for the United States Senate Youth Program. Thus we had to slide the event, but it was so worth moving this for the experience she received back east. Jenny has got this leadership thing mastered. I’ve often wondered if you are born a leader, or you become a leader. Quite honestly I believe Jenny was born a leader who continues to grow in her leadership abilities thanks to her experience and education. I have no doubt that Jenny Gao will be one of our future leaders of the world, as she has built a solid foundation at Aviation High School and a created a well rounded life in all that she does. Come to the Renton Fly It Forward event tomorrow and meet Jenny and see what she pulled off this year. Thank you Jenny. 'Impressive' barely begins to cover Jenny's accomplishments (already!) and her ambitions. Can't wait to meet her at the Fly It Forward event tomorrow. She is impressive, and we all get to meet her today! Thank you for your comment Linda!!! Jenny is truly inspiring. Keep after that dream Jenny and I have no doubt you'll not only reach it, but change lives for the better in the process. Thanks Heather, It was an amazing day and she did incredible! Hey Jenny! Very impressive, and I look forward to hear more about you in the future. I hope the event yesterday was a good experience for you! Cecilie, I hope that one day you can meet her when you return to Seattle. Jeremy, I seriously think the brilliant people of the world are musicians. Thanks for the comment. Girls With Wings Flying Scholarship!